London repeatedly tops the lists of best European cities for startups, due to its vibrant entrepreneurial scene, business environment, support, access to skilled labour pool, and digital infrastructure. When it comes to digital startups, The City is quickly gaining status as one of the best places to be based in. While traditionally this part of London has been dominated by large finance and banking companies, the business landscape in the Square Mile is changing and new players are arriving and contributing to a diversification of the local economy and the real estate market. The typical occupier profile in The City has been in a constant state of change for approximately 10 years. Many companies in the TMT sector (technology, media, and telecommunications) are setting up or relocating to this part of London, and this in turn is prompting office developers and landlords to rethink their space offer so that it accommodates the needs of new tenants. New occupiers tend to be smaller in size, with the vast majority of new tenants having fewer than 250 employees. This means there is a growing need for smaller office units that offer high specs without long-term commitments, and this is where flexible and coworking arrangements come into play. Recent campaigns have presented The City as “the original coworking space”, highlighting the collaborative spirit that helped position this area as one of the world’s most important economic engines starting as far back as the 17th century. WeWork is the largest provider of shared office space in The City, and has almost doubled the amount of coworking space offered in just a year after acquiring more than 100,00 square feet in an iconic building on One Poultry. Other popular options include The Clubhouse, near Bank station; CoWork City in Cannon Street; and The Boutique Workplace, in Queen Street. Shared office space is also available in some of the area’s serviced offices, such as Landmark at The Royal Exchange, and Servcorp in Dashwood House. 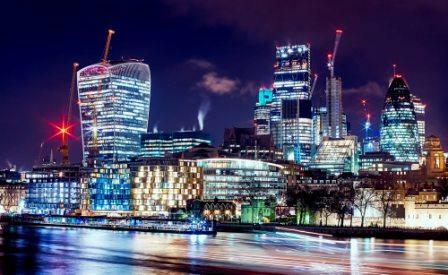 While there has been an effort to create purpose-built accelerators and incubators in The City to attract high-tech talent and high-value investments, their number remains low when compared to other parts of London. However, things are expected to change as traditional office tenants in the area begin to realise the potential for collaboration with industry sectors that are typical shared space occupiers, such as FinTech, blockchain, and artificial intelligence. Along with accelerator space, other priorities include the creation of flexible space that allow tenants to scale up. ← Is a Coworking Space Right for Me?